It didn’t take long after Fukushima meltdown on March 11, 2011 for concerned individuals to realize that they were not being told the truth about the disaster and its radiological consequences. We immediately turned to each other for information, via the good old-fashioned Internet. Websites like EnviroReporter.com, Fairewinds, Committee to Bridge the Gap, Potrblog.com and others stepped up and are continuing to provide critical information on the worst nuclear disaster humanity has faced to date. The information we provide isn’t complete, to be sure, but it’s vital and potentially live-saving. Don’t count on being able to access uncensored information about Fukushima, or anything else, however, if SOPA (the Stop Online Piracy Act) or its Senate version PIPA (the Protect IP Act) becomes law. While it’s stated purpose is to protect American intellectual property, the bill is loaded with measures that would potentially have a chilling effect on free speech and essentially put an end to the Internet as we know it. SOPA is supported by large and well-financed entertainment industry groups but opposed by almost all of the major internet entrepreneurs and engineers as well as web-hosting and social networking sites who would find themselves in the unenviable task of playing big brother to their users or being shut down. SOPA, the Stop Online Piracy Act, is what happens when people who don’t use the Internet attempt to regulate it. It’s a well-intentioned piece of legislation that has been written so poorly that, should the bill pass, nearly anything online could be considered ‘piracy’ in some form or another. SOPA would place ANY website that houses any form of user-generated content at immediate risk of shutdown and would effectively stifle innovation among web entrepreneurs. If someone posted a link to copyrighted material in, say, the comments of your WordPress blog about cats and their sweater choices, we would have to shut down your ENTIRE domain as soon as we received a complaint about it – whether that complaint was valid or not! There would be no pre-shutdown courtesy letter, no friendly ‘please remove this from your site’. Just BOOM! The end. Obliterated. Everything gone. The SOPA vote was delayed on December 16 and rescheduled for January 24th. Today it was announced that a public hearing will be held on January 18 in which technical experts will testify on security and other implications of SOPA. If we don’t raise our voices loudly, now, we can kiss the golden age of freedom of information on the Internet goodbye. The White House responded to two online petitions concerning SOPA with “COMBATING ONLINE PIRACY WHILE PROTECTING AN OPEN AND INNOVATIVE INTERNET.” While certainly comprehensive and positive in tone in response to anti-SOPA petitions, the Administration’s penchant for preaching one thing then doing another portends a rocky road ahead. In what could be a sign of protests against SOPA to come, major Internet websites are spearheading a campaign to get Internet users’ attention by blacking out this Wednesday or creating anti-SOPA flash pages with links for further information. Anti-SOPA Internet heavyweights Reddit and Boing Boing and all of the Cheezburger sites will be supporting the SOPA Blackout January 18. Cheezburger’s Fail Blog, ICanHaz, Memebase and all other websites under its banner will be supporting the SOPA blackout. 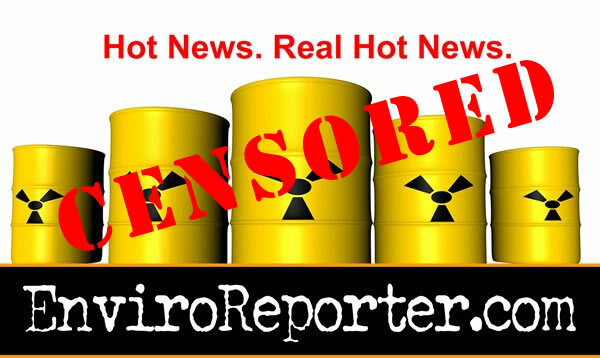 EnviroReporter.com will be supporting this protest with an anti-censorship flash page visible to all who visit the site Wednesday. One thing we note that seems absent from the anti-SOPA websites is the idea of a strike of the entertainment concerns behind SOPA. If this draconian legislation can’t be rolled back, the very real threat of Internet industry concerns against Hollywood could take a very real and costly turn. An “open and free” Internet thanks to the FCC’s 3-2 vote, along party lines with the Democrats in the majority. Without this milestone, which can be undone by Republicans if they manage to elect a President, you wouldn’t be seeing much of EnviroReporter.com. Or at least very fast. “Imperil the future of the internet” by making it fair and even? Shameless utterances don’t distort this issue that is paramount for our times. Even though we question the wisdom of many of the Obama Administration’s decisions on areas we cover, including its plan to blow $355 billion modernizing America’s already bristeling nuclear arsenal from 2014 through 2023, we salute the President on saving the Internet. We salute the FCC and the President for keeping the Internet relatively open and free. 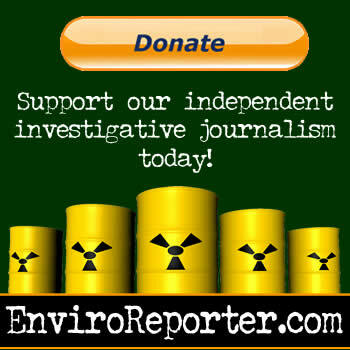 Online news organizations like EnviroReporter.com will not take a back seat to anyone, and neither will you. * No blocking. If a consumer requests access to a website or service, and the content is legal, your ISP should not be permitted to block it. That way, every player — not just those commercially affiliated with an ISP — gets a fair shot at your business. * No throttling. Nor should ISPs be able to intentionally slow down some content or speed up others — through a process often called “throttling” — based on the type of service or your ISP’s preferences. * Increased transparency. The connection between consumers and ISPs — the so-called “last mile” — is not the only place some sites might get special treatment. So, I am also asking the FCC to make full use of the transparency authorities the court recently upheld, and if necessary to apply net neutrality rules to points of interconnection between the ISP and the rest of the Internet. * No paid prioritization. Simply put: No service should be stuck in a “slow lane” because it does not pay a fee. That kind of gatekeeping would undermine the level playing field essential to the Internet’s growth. So, as I have before, I am asking for an explicit ban on paid prioritization and any other restriction that has a similar effect. EXCELLENT news from our friends in the European Union this July 4: By a vote of 39 in favor, 478 against, with 165 abstentions, the “European Parliament overwhelmingly defeated an international anti-piracy trade agreement Wednesday after concern that it would limit Internet freedom sparked street protests in cities across Europe” according to the Associated Press. This is another example of the people standing up for freedom of the Internet, a welcome development for award-winning website such as EnviroReporter.com which has been and is the target of malevolent forces determined to undermine what YOU get to read, see, watch and hear on the Internet.